In-The-Ear (ITE) hearing aids, also called custom hearing aids, are available in a variety of sizes. In order to fit an ITE or custom hearing aid, your audiologist will need to take an impression of your ear canal. The impression will be sent to a manufacturer and the hearing aid will be built in a custom shell that is made specifically for you. The selection of the size of the device will depend on a variety of factors; for example the degree of hearing loss, patient dexterity, desired battery life, size of the ear, and cosmetic concerns. At Toronto Family Hearing, we will work with you to find the most appropriate hearing device to suite your needs, preferences, and lifestyle. Full Shell (FS): This is the largest size for an ITE hearing aid. Due to its larger size, it can accommodate a larger degree of hearing loss and can also be easier to grip, handle, and change batteries. It will be able to accommodate on-board controls, for example a volume control and a program button and may also be compatible with remote controls to make adjustments. For more information about this style of hearing aid contact us. Half Shell (HS): This is a mid-sized custom hearing aid. 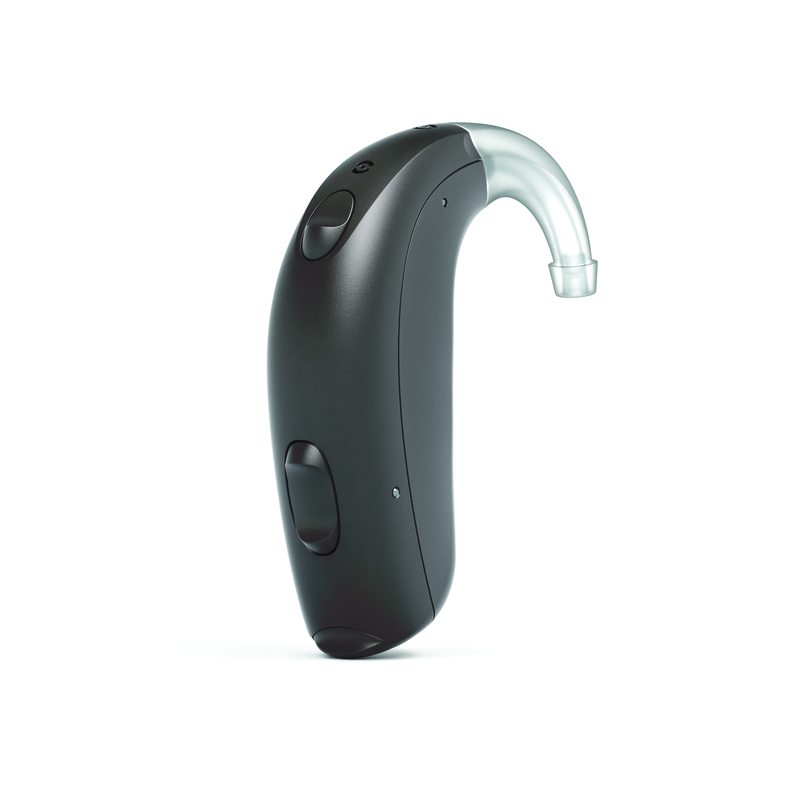 It is more discreet than the full shell hearing aid and therefore takes a smaller battery size that will not last as long as a full shell. It can still accommodate on-board controls, for example a volume control or a program button and may be compatible with remote controls to make adjustments. For more information about this style of hearing aid contact us. Completely-In-Canal (CIC): This is the smallest of the custom hearing aids. People who choose this style usually want a very discreet hearing aid that is barely visible to others. Since it is a very small hearing aid, it has limited power and therefore is better suited for people with mild to moderate degrees of hearing loss. It cannot accommodate any on-board controls due to its small size but adjustments can be made by the user with a remote control. For more information about this style of hearing aid contact us. Behind-The-Ear (BTE) hearing aids, like their ITE counterparts, also come in a variety of sizes. The same general rule applies that the larger the hearing aid, the more powerful it is therefore the greater the degree of hearing loss it can accommodate and for which it will be suitable. When fitting a BTE for a patient, it is also possible to have a custom piece, called a mold or earmold, built that will sit in the ear canal to anchor the device to the ear while the actual hearing aid sits behind the earlobe. Standard BTE: This is the largest of the hearing aids that sit behind the ear. It is most often suitable for severe to profound hearing losses due to its large size. It can also house a large battery that may last up to twice as long as some smaller models of hearing aids. Since all of the electronic components of the hearing aid are behind the earlobe, this style of hearing aid will typically be more durable and require less frequent repairs as it is less likely oil and wax will accumulate inside. For more information about this style of hearing aid contact us. Receiver-In-Canal (RIC): This is the smallest of the hearing aids that can sit behind the ear. Even though it is a smaller hearing aid, it is still suitable for a wide range of hearing losses from mild to severe. With this style of hearing aid, the speaker sits in the ear canal and the microphone and remaining components of the hearing aid sit behind the ear. It can be coupled with a custom earmold or used with a silicone dome to anchor it in the ear canal. It is usually the most discreet style of hearing aid as the only visible component is a thin wire; the dome or mold tuck deep in the ear canal and the hearing aid is small enough to hide behind the earlobe. For more information about this style of hearing aid contact us.